Sergiu Shapira achieved his Master Degree in composition at the Bucharest State Academy of Romania, and Ph. Doctorate in Musicology at the Hebrew University of Jerusalem. 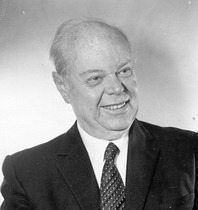 S. Shapira began the musical career in his native country, where the "Composers' Fund of Romania" rewarded him for "Sonatina" (1956) and "Capriccio" (1957), both piano works. Established in Israel in 1961, Mr. Shapira, together with his wife the pianist Shulamith Shapira, joined the Faculty Staff of Jerusalem Music Academy, the Theory Department. Parallel with the pedagogic activity, he continued the composition activity in his new country. Shapira' s works include orchestral, chamber, instrumental and vocal music. His music was performed, recorded or published in various countries, such Israel, U.S.A., France, Germany, Belgium, Italy, Canada, Romania and others. His composition "Remembrance" for Cello and Orchestra was premiered at Lincoln Center, Alice Tully Hall, New York City in 1994. In 1999, the composer was awarded with the Prize of "International Composition Contest for Clarinet", category Clarinet Solo, for his work "A Talk with the Unseen". This work was performed at the "International Clarinet Festival, New Orleans 2001" by the American clarinetist Howard Klug and published by the Bloomington University of Indiana USA. In 2005, his "Sonata for Cello Solo" was elected to represent Israel at the "International Cello Festival, Bruxelles 2005".